The Walking Dead is back on the air, and you’re going to need to eat something to keep your strength. And I’m not talking about barbecuing people like the guys from Terminus do. I’m thinking pancakes. After all, they’re part of a nutritious breakfast. 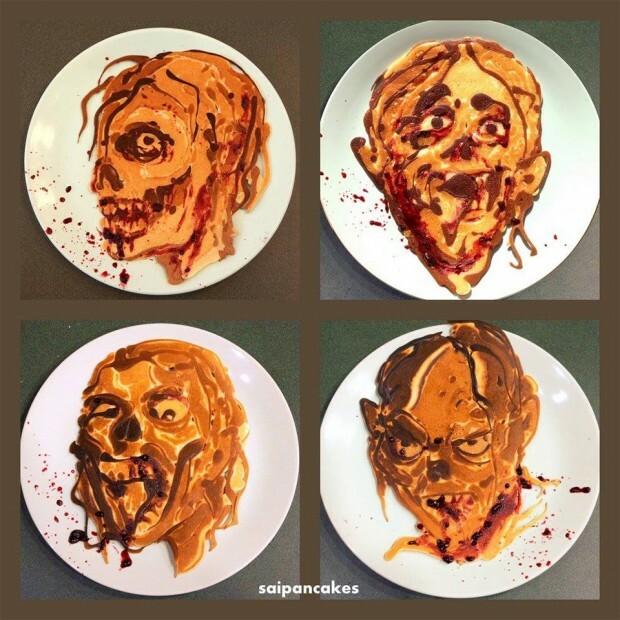 Fortunately, pancake artists Nathan Shields of Saipancakes and Kevin Blankenship have got us covered. 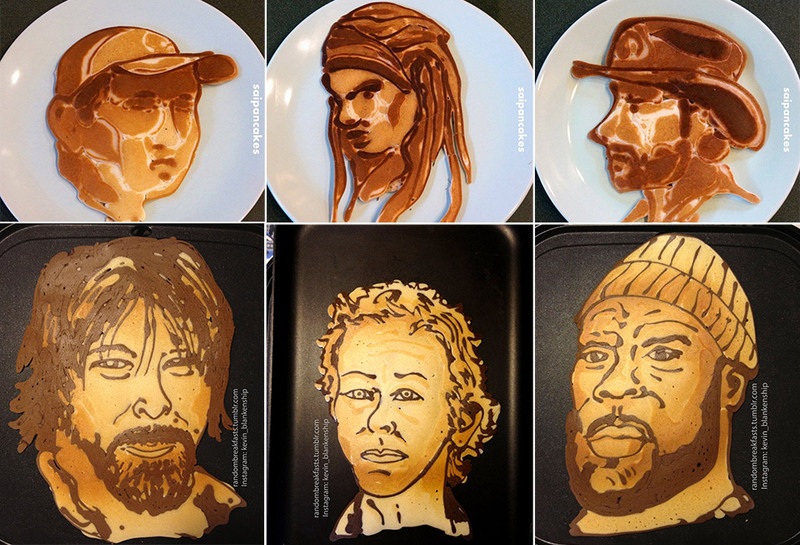 Here, he makes a stack of flapjacks featuring the likenesses of our favorite TWD characters, including Rick, Glenn, Michonne, Daryl, Carol, and Tyrese. Maybe if you pour some maple syrup on them, they’ll be able to hide out amongst the walkers. Who am I kidding? These guys are goners – right in my belly. They all look good enough to eat.